Shuttle has launched two new android mini PCs which are both equipped with Rockchip processors and are available with prices starting at under $150. 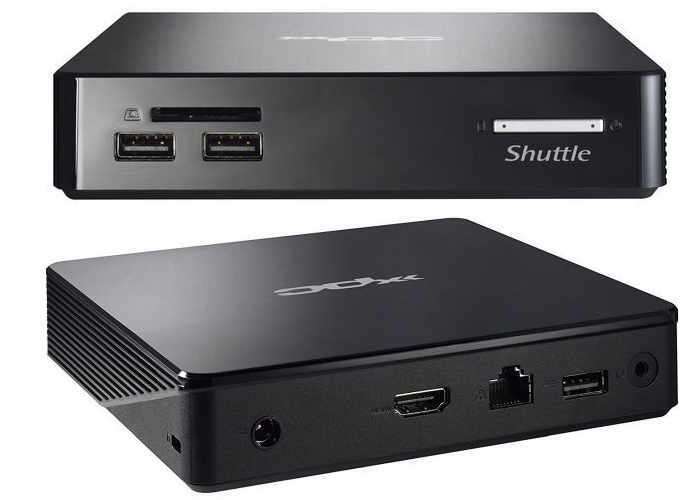 The two new additions to the Shuttle range take the form of the Shuttle XPC nano NS02A and NS02E which are powered by a Rockchip RK3368 octa-core ARM Cortex-A53 processors and are shipped preloaded with the Android 5.1 operating system. The Shuttle NS02A is priced at $142 while the NS02E is available for a little more priced at $162. The main difference between the two models is that the NS02E supports Power-over-Ethernet, while the NS02A uses a separate power adapter. Shuttle has equipped both mini PC systems with 2GB of RAM, 16GB of eMMC storage as well as support for an optional 2.5 inch drive bay, Gigabit Ethernet, a 3.5mm audio jack, an HDMI port, three USB 2.0 ports and an SD card reader. Connectivity is provided via support for both 802.11a/b/g/n WiFi, Bluetooth 4.0 and both systems also offer Miracast wireless display support.